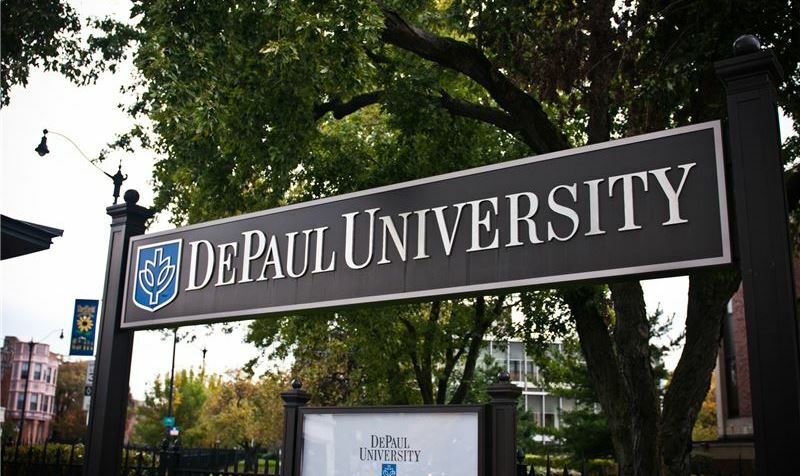 The largest Catholic university in the country, DePaul University in Chicago offers more than 300 undergraduate, graduate and law degrees through its 10 schools and colleges. Students come from all over the world for the small class sizes and the experience of learning in the vibrant energy of Chicago. But it's not just about academics. Discover the modern and contemporary art works of Salvador Dali, Francisco De Goya and Andy Warhol at the DePaul Art Museum (DPAM). Enjoy Division I athletics and cheer on the Blue Demons in the Big East Conference with women's and men's basketball, cross country, golf, soccer, track & field, tennis, and volleyball. With campuses in Chicago's business district and in Lincoln Park, Chicago is your classroom. DePaul is just a few blocks away from Hotel Versey, making it convenient for visiting students, seeing a game and taking campus tours. Vary by event and facility. Where can I find the athletic schedule for DePaul University? DePaul University is a Division 1 school and plays in the Big East Conference. Throughout the year, men's and women's sports take place in Wintrust Arena and other venues. Check out all the schedules for the entire DePaul sports program here. What parking is available near DePaul University? If you're coming to DePaul, there are two main parking garages to use. The Sheffield Parking Garage is located at 2331 N. Sheffield, and the Clifton Parking Deck is located at 2330 N. Clifton. Special rates are available for validated tickets. Parking validation machines can be found throughout campus.